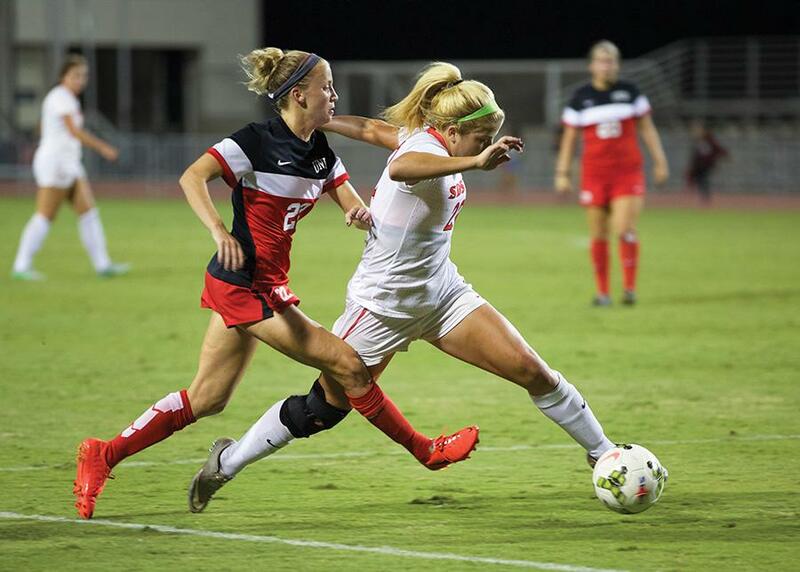 It’s do or die for the San Diego State women’s soccer team (14-4, 10-1 Mountain West). The 2015 MW regular-season champions will be looking to add yet another accolade to their already stellar season this weekend, as they look to become MW tournament champions. The Aztecs have been here before. In fact, they’ve been in this position and have succeeded four years in a row. 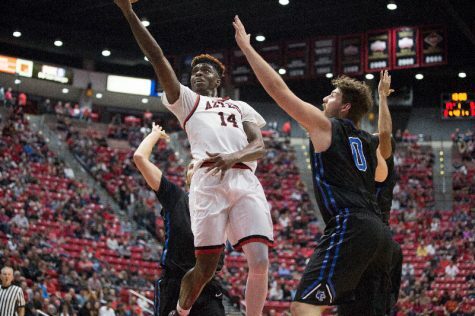 After making history a few weeks ago by becoming the first team in the MW’s 16-year existence to win four straight regular-season titles, the Aztecs are now looking to once again etch their names into the history books by winning their fourth-straight conference tournament title, as well. For head coach Mike Friesen, the preparation for this weekend is no different from the previous weeks his team has endured. 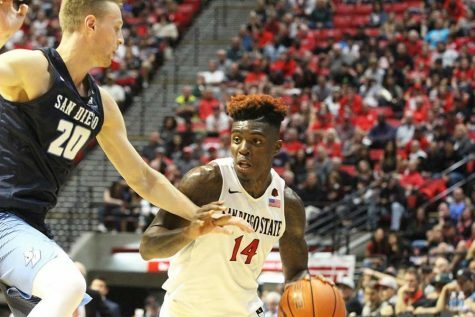 By “playing at their best” this season, the Aztecs have pulled off a season that could very well post them up as one of the best teams in SDSU history. Freshman forward Leah Pruitt scored 10 goals and nine assists in her first season, good for 29 points. The accomplishments were enough to earn her MW Freshman of the Year honors and a spot on the all-MW first team. Aside from Pruitt, freshman forward Milan Moses and sophomore defender Stacie Moran were also named to the conference first team. SDSU finished the season with a 10-game winning streak, during which it outscored opponents by an astonishing 24-5 margin. Joining Vaughn and receiving second-team honors were junior midfielder Victoria Barba and sophomore forward Angela Mitchell. In addition, sophomore forward Aliyah Utush, junior defender Jen Rupey and senior defender Ashley Hauke were given honorable mentions, giving the Aztecs nine players with all-MW honors, which is a school record. Friesen is proud of the players honored and feels other players have played well enough to be honored, as well. 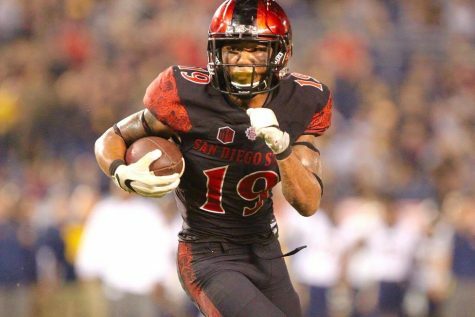 However, the regular season’s accomplishments, as well as the team’s individual accomplishments, are not SDSU’s ultimate goal. 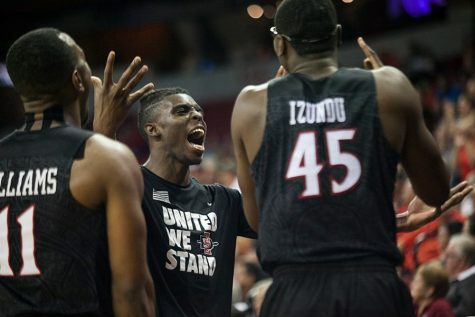 With the regular-season title all wrapped up with a bow on top, the Aztecs now turn to the tournament. The No. 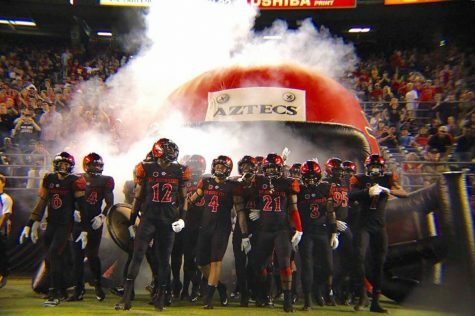 1-seed Aztecs enjoyed a bye, as they awaited the winner of the Colorado College and University of Wyoming quarterfinal match, which was originally to be played Tuesday night, but had to be delayed to Wednesday afternoon due to lightning. SDSU looked on as Colorado College defeated Wyoming 1-0, giving the Aztecs another shot at a team they defeated 3-1 on the road two weekends ago. Leading up to the final result of quarterfinal match, the Aztecs were preparing for an unknown opponent. 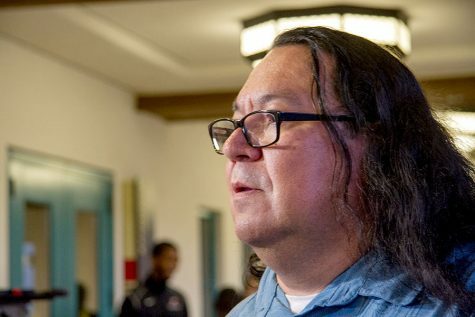 But, Friesen holds that the only thing they could, and will focus on, is themselves. “We don’t have to spend so much time worrying about the other team, and I think that’s maybe the difference between where we are, and where these other teams are,” Friesen said. 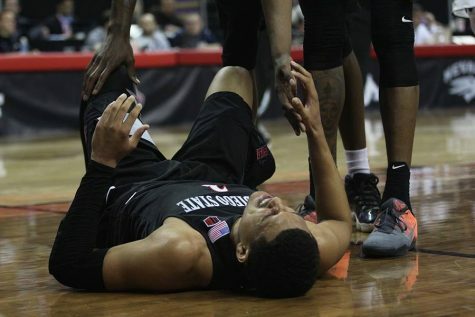 On an unfortunate note for the Aztecs, they will be without Rupey, whose season ended with a knee injury this past week. Taking her place will be junior defender Zsuria Phare, who started most of the season. She was switched out of the crowded regular starting lineup for sophomore defender Hailey Balma. Having been in this spot before, Friesen believes the excitement around this weekend far outweighs the nerves. 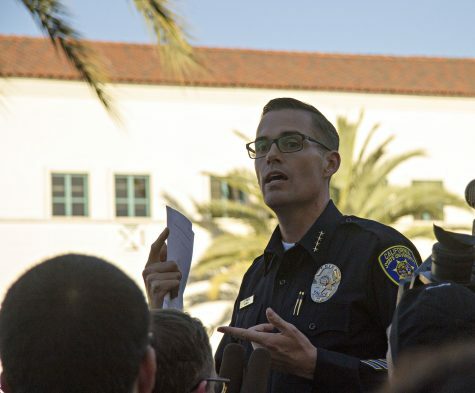 “(We’re) excited. That’s the biggest thing for us. It’s finally here, this is something we’ve been working towards all season,” Friesen said. 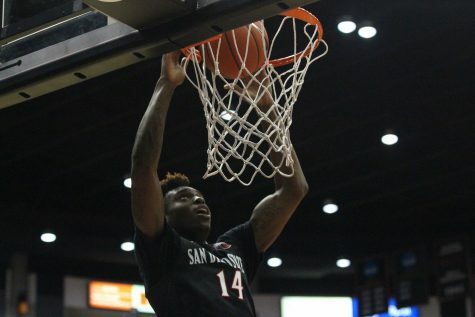 SDSU will take on Colorado College in the semifinals Thursday night at 7 p.m. at the SDSU Sports Deck.